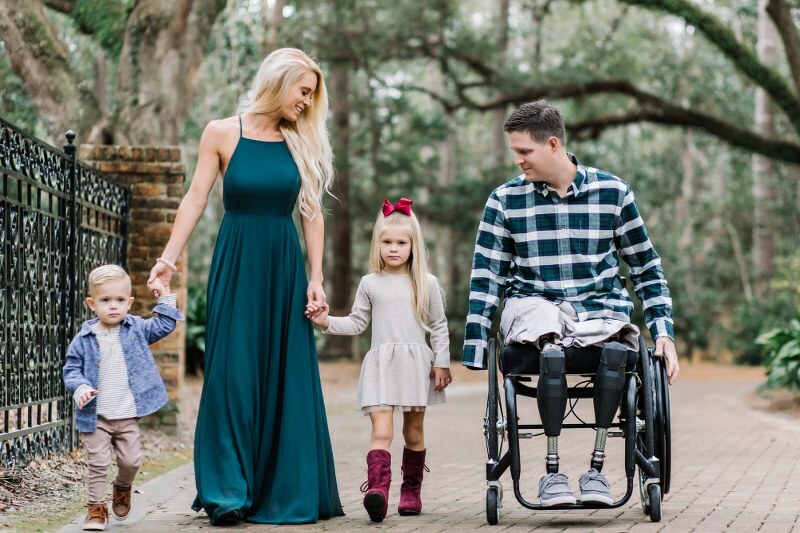 Despite the attacks from the unhinged left, there are good people out there who want to see Airman Kolfage succeed. The Iraq War veteran took a much-needed break from the wall campaign tonight & took his family out for dinner. Kolfage has been operating on about 4 hours of sleep per night since he started the wall fund. He’s been bombarded with interview requests from media, and is in constant contact with the Trump administration and various members of Congress and legal experts. He’s also had to create & maintain a new website, do data analysis, and maintain an engaging presence on several social media platforms. It would be taxing work for anyone, let alone a person who lost both legs & an arm. Isn’t it awesome that there are patriotic Americans who would do this for a deserving veteran, especially in the midst of all the attacks from the left? It’s an amazing gesture that the triple-amputee surely appreciates. This is a video clip from the Gary Sinise Foundation. Brian was interviewed by Sinise in 2016. In the video, Brian explains that it takes a “ton of work” just to walk. 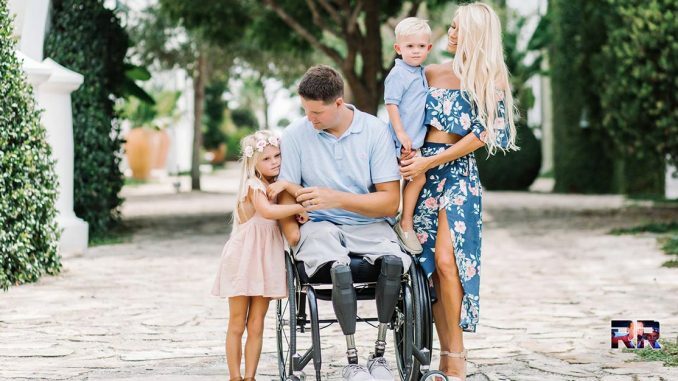 He goes on to tell of when he & his wife Ashley had their first child, and how he felt his body wearing down because of the energy it took to take care of his new family. Brian had turned down an offer from the actor for his foundation to build him a home because he thought there were other wounded veterans who needed it more. WATCH. Thank you to the people who provided Kolfage & his family some much-needed positivity! 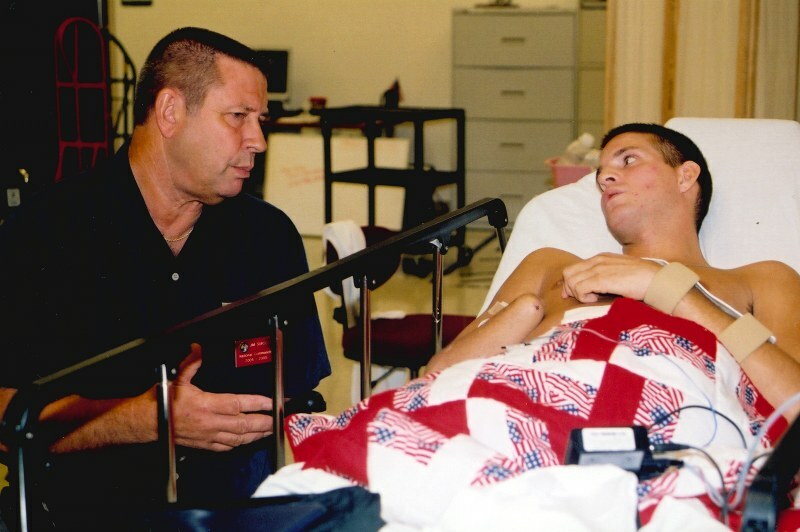 Take a minute to watch Kolfage’s amazing “Alive Day” video & see what he experienced after being wounded. IF YOU DO NOTHING ELSE IN THIS WORLD, WATCH THIS VIDEO. If you don’t shed a tear, I question your humanity. Share this if you’re thankful for Airman Kolfage’s sacrifice & continued service for America!